It all began in 1878 when Henry Simon established Henry Simon Ltd, a company that was to become a world famous organisation - the Simon Engineering Group. Henry Simon was born in 1835 in Brieg, Germany, in the Prussian province of Silesia. 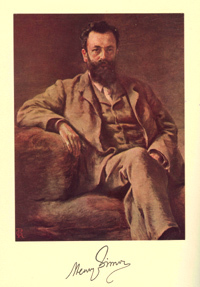 He studied engineering at Zurich, practised in Europe and came to Manchester, England in 1860. In 1878, he built his first roller flour mill (Henry Simon Ltd) and his first coke oven plant in 1881 (Simon Carves Ltd) and devoted the rest of his life to the development of these two industrial companies. 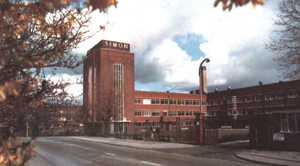 In the 1950's, Simon Container Machinery Ltd was established. A license agreement was signed with Koppers of Baltimore, USA and SIMON manufactured and sold corrugating machinery throughout the rest of the world. In the early 1960's, SIMON purchased 'REVCO', based in Agawam, Massachusetts, USA. The integration of this company, called Simon Container Machinery Inc., established SIMON in North America and is still operating out of this facility today. At the expiry of the agreement with Koppers, SIMON pushed ahead with the development of their Corrugating equipment, resulting in the 300 Series Corrugator. SIMON also developed it's own range of Casemakers, including the renowned GL35, GL50, 230, 350, 470 and Legend series, many of which are still performing strongly today. In 1990, SIMON launched the SHORTPRESS Heat Transfer System - a revolutionary product that replaced the weight rolls on traditional Double Facers, dramatically increasing running speeds and improving board quality. Almost 600 installations of the SHORTPRESS are still running around the world achieving outstanding benefits for their customers. We are proud of our name and our heritage, and with the SIMON name still prominent in the world of Corrugating, we continue to develop our products, with the S-Press Heat Transfer System being the latest in a long line of innovative products. © 2016 - 2019 Simon Corrugating Machinery Ltd. All rights reserved.